With the death of his brother, George IV, on the 26th of June 1830, William IV became King of the United Kingdom of Great Britain and Ireland. He reigned until his death on the 20th June 1837 when he was succeeded by his neice, Victoria. 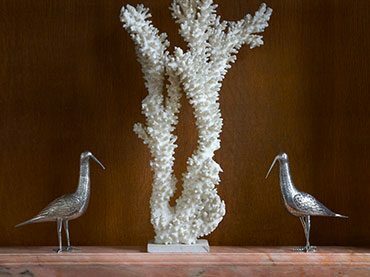 We are pleased to offer a range of fine antique sterling silver from the William IV Period. All of our William IV silver can be purchased online, or from our shop in The London Silver Vaults. 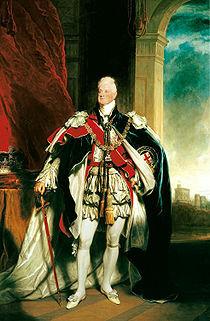 At the age of 64, William IV was the oldest man ever to succeed as Monarch of The United Kingdom of Great Britain and Ireland. Having served in the Royal Navy, William is often referred to as the 'Sailor King'. Less flatteringly, he was also known as 'Silly Billy' on account of his shortcomings in judgement, tact and intellect. Disinterested in pomp and ceremony, William was a different kind of monarch from his brother George IV - he was even known to walk around London unaccompanied! William's brief reign was the stepping stone from late Georgian to Victorian periods and unsurprisingly, silverware of the period is both bold and showy.